Moody’s Investor Services released some uplifting news for the retail community, namely that industry has turned a corner and growth predictions are on the upward trend. Retailers are finally starting to reap the benefits of investments aimed at cost efficiencies, enhancing their e-commerce capabilities and customers’ in-store experience. This, coupled with a strong economy, will result in higher profits, according to the report. Profits are already on the rise, according to Moody’s which has published predictions of operating income growth at 4.0% – 5.0% and sales growth forecast for the year to 4.5% – 5.5%. Currently, lower-priced retail industries such as discounters, dollar stores, and off-price stories, however, Moody’s expects department store declines to taper off in the next 12-18 months, allowing specialty retailers, supermarkets, and apparel and footwear stores to take off. The report specifically names Walmart for continuing “to gain momentum in operating profit as its investments in price and online growth have started to bear fruit.” The greatest evidence of Walmart’s turnaround has been their investment in digital while simultaneously leveraging physical stores. Instead of expanding with new store locations, they’re prioritizing store remodels and digital experiences. Walmart has introduced new store layouts, scan and go technologies, and integrated pickup and extended aisles that connect local shoppers to the online experience. Moody’s also commended Target for their smart investing into digital and delivery experiences. While they’ve invested in enhancing delivery from e-commerce to include consumer-centric benefits like free two-day shipping from Target.com and 2-hour grocery delivery via their partnership with Shipt, Target isn’t skimping on their physical growth: 80% of the U.S. population is within 10 miles of a Target store and they’re continuing to expand. In addition to remodeling their fleet of existing storefronts, Target is opening an additional 35 stores in 2018, 2 more than they opened in 2017. But these aren’t your average big box stores, these smaller locations make better use of square footage by focusing on grocery and apparel targeted to urban neighborhoods and college campuses. Although Walmart and Target are finding success with a balanced approach to physical and digital investing, the online point of sale model continues to grow. E-commerce has been anticipated to overtake overall retail sales, and forecasts indicate that online sales have already captured another 2% of the market since 2016 and are anticipated to grow to about 20% of total sales during the next five years. Of course, it’s no surprise that Amazon is one of the brands leading the digital charge with innovation and diversity. Amazon grew in popularity as the “everything store”, and they’ve continued to operate with the goal of becoming everyone’s one-stop-shop for everything. By continuing to grow into the technology industry with products like the Amazon Echo, Amazon is making it easier to shop and therefore easier for them to grow as a company. Amazon Go, 1-Click Ordering, and Prime Now are only just a few innovations they’ve introduced in the recent years. As Amazon acquires more giants like Whole Foods, they’ll also continue to expand their diversity of sales to reduce the risk of any loss due to economic hardship or disruptions within a specific industry. While Amazon may dominate in online retail, a small number of brands are opening new stores, including those who made a name for themselves in the e-commerce space. Leading that charge is Warby Parker. The iconic e-commerce darling who disrupted the glasses industry by taking it online and gutting a handful of middle men in process continues to grow its brick-and-mortar presence. After just four years and an estimated $100 million in sales, Warby Parker went offline and this year they’re hitting 100 stores. The secret to their success is crafting a stellar customer experience – even at the loss of short-term profit. A great example of this is their mirrored layout of their store designs, which creates a customer-focused experience, but sacrifices 50% of available display space. Another surprising brand making waves with positive outlook (even though they haven’t gained anywhere near the media that Amazon receives) is Jersey Mike’s. This New Jersey breakout has quietly become the fastest-growing restaurant chain in the country, a title they’ve claimed for the last four years. Close to 70% of Jersey Mike’s current franchise owners are adding another store to their portfolio, and the brand anticipates doubling their $1 million in annual sales over the next five years. Consider their recent feat of doubling store locations in the last five years, their aggressive growth predictions appear rather realistic. But the larger question here is the overall direction of the retail industry, which has been soured in dour outlook for years. Will the positive predictions from Moody’s and the evidence from the upward trend of individual brands be enough to eradicate retail apocalypse headlines in the media? In all likelihood, the industry will remain warily optimistic. While retail is seeing a long-awaited boost with expectations to continue, much of the industry is heavily dependent on the U.S. economy. Currently, unemployment is down, disposable income is up, and inflation is flat-lining, which is putting more money in the pockets of consumers – but a change to any one of these elements may bring retail plummeting down again. 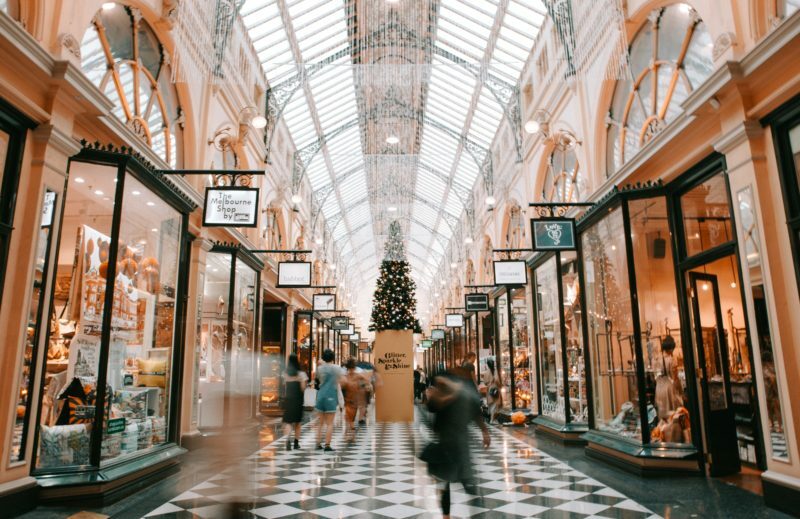 The recent discussion of retail apocalypse brings up a necessary conversation about the direction of the industry as a whole and how retailers can remain competitive during times of economic famine. However, it also brought about a very real fear that crashes in the market may surprise us all, diminishing our ability to mitigate risk, and reminding us not to rest on our laurels.